Chelsea has offered midfielder, N’Golo Kante a new £290,000-a-week contract to become the highest earner at Stamford Bridge. According to The Times, the West London club has offered the France international a new five-year contract worth a club-record of £15 million per season. 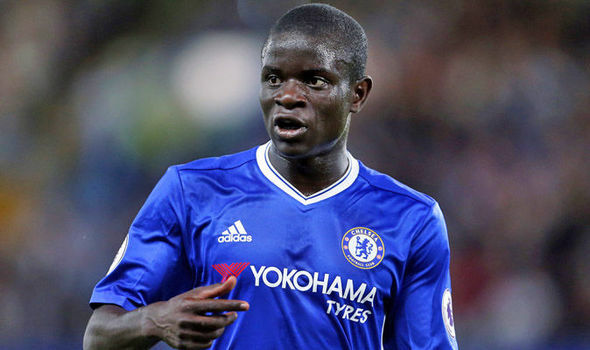 Kante who played a key role in France’s 2018 FIFA World Cup success in Russia, has been a key part of the Blues’ midfield since he was signed from Leicester City for £30 million 2 years ago. The 27-year-old attracted interest from Paris Saint-Germain ahead of the new season, but Chelsea have now made a substantial move to keep the midfielder at Stamford Bridge. Meanwhile, Chelsea’s highest earner prior to now was Eden Hazard with his £220,000-a-week deal, which expires in June 2020. Hazard has attracted interest from Spanish giants, Real Madrid and has expressed the desire to join the Champions League holders, but Chelsea are willing to offer the Belgium international terms similar to that of Kante.